WPI offers a broad variety of standard and custom single monopolar, concentric, and stereotrode designs in a variety of tip profile and metal combinations. Some of these electrodes are also available with Rhodes style tips. 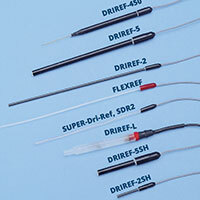 WPI offers a large variety of electrodes. 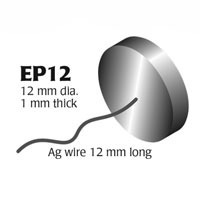 Our nerve cuff electrodes can be built to your specifications. See all the options you can choose. 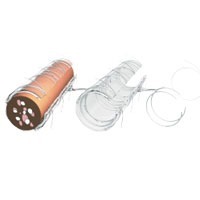 These Concentric Bipolar Electrodes with Rhodes style tips are designed for Neurological recording and stimulation and are ideal for acute applications (without the X) or chronic applications (ends with X). 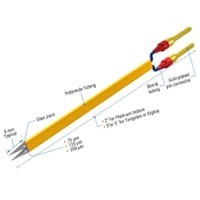 The Stainless Steel external tubing (E) provides support for accurate placement. 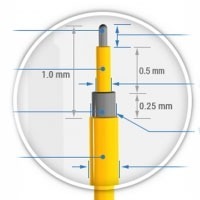 The extra extension may be cut off after insertion leaving only a small protrusion. Features Rhodes-style tips are great for those that require a precisely controlled electrode surface area The Stainless Steel external tubing provides support for accurate placement and manipulation during acute research These are an excellent replacement for long-term Rhodes electrodes (originally made by Kopf) Benefits Concentric bipolar electrodes are ideal for bipolar stimulation paradigms Tools are available for shielded macro recordings, as well as evoked potential Electrodes may be acutely reused many times (> 20-30 insertions), if they are properly cared for: Avoid bending the shaft and blunting/hooking the tip Clean electrode carefully between session Applications Designed for Neurological recording and stimulation and are ideal for chronic applications.